The council approved Mayor Jenny Durkan's proposal to spend about $5 million a year to provide year-round ORCA cards for 16,000 students in Seattle public schools. When school starts in the fall, Seattle public high-school students should get free year-round rides on buses and light rail, after the City Council approved funding for Mayor Jenny Durkan’s proposal on Monday. The City Council voted unanimously to spend up to $7 million a year on the ORCA Opportunity program, shifting money that voters had approved in 2014 to expand bus service. The program, which will give transit passes to high-school students and students attending Seattle colleges on city-funded scholarships, is expected to cost about $5 million a year. The extra funding leaves open the possibility of a future expansion to give free ORCA cards to elementary- and middle-school students. The new program, which still requires the approval of the Seattle School Board, will make Seattle the largest city in the country to give free, year-round transit service to all high-school students, according to the mayor’s office. 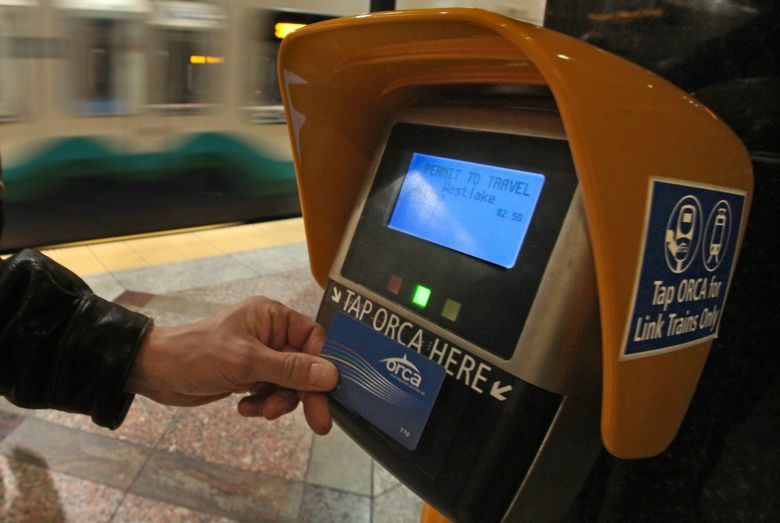 More than half of Seattle public high-school students can already get free ORCA passes. About 7,000 high-school students get school-year-only ORCA cards if they live more than two miles from school, and an additional 2,600 students in certain low-income households also get free passes. But the new program would, for the first time, give a free year-round ORCA card to more than 16,000 students. The cards would be distributed at school in the fall. Durkan credited students at Rainier Beach High School, who have lobbied for free transit passes for years. “Our students’ advocacy gave power to this idea that we are now able to make a reality,” she said. The funding comes from $60 car tabs and a one-tenth of 1 percent sales tax, approved by Seattle voters in a 2014 ballot measure, that was slated to buy extra bus service from King County Metro. It brings in about $50 million a year. But the demand for increased bus service has been so great that Metro — hampered by both a shortage of bus drivers and bus maintenance bases — cannot provide all the service that Seattle wants to buy. Seattle is now reallocating that money into the ORCA Opportunity program and other bus-service changes. The 2014 initiative, known as the Seattle Transportation Benefit District, required city funds to be spent on bus routes that serve Seattle. For a route to get funding, 80 percent of its stops have to be in the city. That’s meant big investments in popular bus lines like the RapidRide C and D lines, which serve West Seattle and Ballard, and get more than a third of their funding from the city of Seattle. But Seattle has been unable to invest in its most crowded bus route, the RapidRide E, which runs up and down Aurora Avenue, because a big chunk of the E serves Shoreline. The ordinance approved Monday would require only 65 percent of a route’s stops to be in the city, allowing service increases on the E and other routes. The ordinance also allows up to $10 million to be spent on capital improvements to the bus system, rather than increased service. That means funding for things like bus-only lanes, bus-prioritized traffic signals and bus shelters. Councilmember Mike O’Brien, chair of the transportation committee, argued that such capital improvements have the same effect as increasing service hours, because they let buses finish their routes more quickly, and therefore provide more service. The City Council scrapped a piece of the law that would have allowed $5 million a year to be spent on a contracted transit service. That proposal was never fully sketched out, but would likely have meant 10- to 15-passenger vans serving routes that don’t now have convenient transit lines — mostly from North Seattle neighborhoods to Uptown and First Hill. That attracted pushback from the union representing Metro bus drivers, which warned of the dangers of moving in any way toward privatizing the bus system. The proposal was intended as a pilot program to run during the “period of maximum constraint” as a series of major construction projects over the next few years are expected to grind downtown Seattle traffic to a veritable halt.